Yamal LNG and Murmansk Shipping Company OJSC have signed a three-year contract for maritime transportation of cargoes to port Sabetta, press center of the shipping company says. Under the contract, total shipments are to make some 1.5 mln freight tons. The contract covers a wide range of cargoes for construction works and development of the South-Tambeyskoye field. The following ice class vessels will be deployed for that purpose: Yury Arshenevsky and Kapitan Danilkin of СА-15 series; A.Suvorov and Petr Veliky of Dmitry Pozharsky series; Viktor Tkachev of Mikhail Strekalovsky series and Grumant of Grumant series. The above vessels with the enhanced ice class are able to operate under extremely low temperature. Part of them are fitted with shipboard cranes for unloading of different cargoes including oversized cargo. 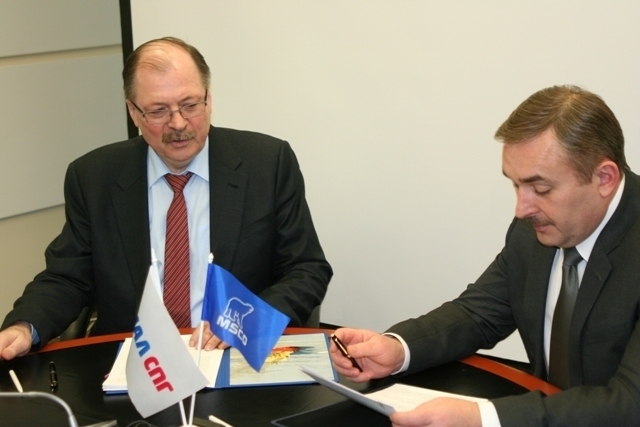 Murmansk Shipping Company OJSC is a cargo shipment partner of Yamal LNG OJSC. The strategic agreement between the companies means year-round prompt delivery of construction cargoes for Yamal LNG while Murmansk Shipping Company will diversify its transportation routes, the statement says. The specialists of Murmansk Shipping Company forecast the deployment of up to 15 vessels per month during certain periods. Yamal LNG project envisages the construction of an LNG plant with annual capacity of 16.5 million tonnes per annum based on the feedstock resources of the South-Tambeyskoye field. According to the PRMS reserve standards, the proven and probable reserves of the South-Tambeyskoye field as of 31 December 2013 were appraised at 927 billion cubic meters of natural gas. Yamal LNG is currently owned by NOVATEK (60%), TOTAL (20%) and CNPC (20%). Murmansk Shipping Company OJSC specializes in marine transportation of general cargo and passengers by the fleets of the Company itself and its subsidiaries as well as by chartered vessels. The fleet of the shipping holding numbers over 300 vessels with total deadweight of some 2 mln t. MSC is the largest shipping company which carries out the major part of shipments under the Russian flag in Russian sector of the Arctic.